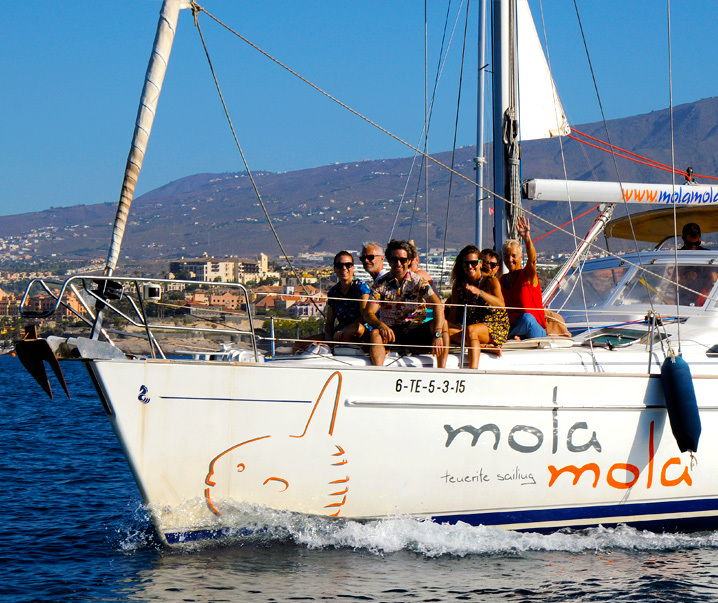 Mola Mola Tenerife is a luxury sailboat located in Puerto Colón harbor, in Fanabe, in the south of the island. 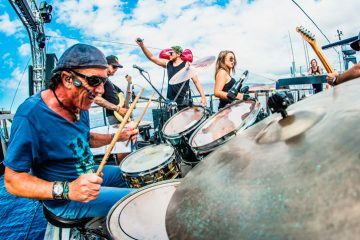 Tenerife has endless activities to enjoy the sea and its beautiful beaches, that along with its weather constituted the perfect choice both for tourists and residents. There’s a wide catalogue of water activities that can surely match your preferences, whether you’re a thrill seeker or you’re looking for a quite day with your family. One of the best choices you have is the sailing boat Mola Mola, a very cozy boat, with capacity for eleven people, and operated by the nicest crew. You’ll see whales, dolphins and you can have a drink and a snack and relax on the deck while the crew explain the details of Tenerife seaside and wildlife. The advantages of the small size of Mola Mola it’s that you enjoy an individual attention and the ride is more comfortable because you’d have enough room for your comfort, that is not possible in a bigger boat. As I said at the beginning, Mola Mola has it all. 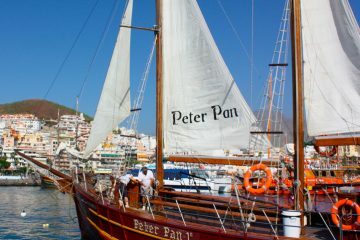 The daily trip departs from Puerto Colón harbor and goes to the whale watching area, between Tenerife and the island of La Gomera. On the way back, you will be sailing along the coast and drop anchor in Puertito, which is a wonderful bay and one of the most visited dive spots in Tenerife; there, you might be lucky enough to see turtles with the snorkeling set provided for free. 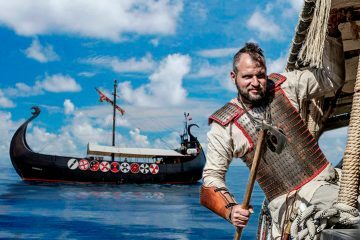 The company offer three excursions: the three hours’ trip, the “Sunset between islands”, specially designed for winter, both cost 50€ per adult and 30€ per child and the chance to rent it for private parties, with different costs depending on the details. Set sail and embark on this luxury Beneteau Oceanic Clipper 42CC sailboat. It has everything you could dream or ask for. DURATION 3 hours or 2 hours if you choose the sunset experience. Free Transfer Service (South Tenerife). The child rate is valid for 3 to 10 years. Free for babies.